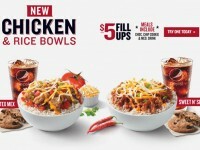 Wendy’s is offering several new drinks that are available for a limited time this summer. First is the Tropical Green Tea from Honest Tea. It is an organic iced tea with a blend of organic green tea leaves and a hint of pineapple and mango. 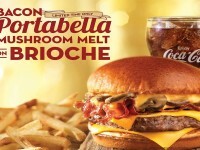 Actually this drink was released last month, but is now being promoted with the new line of Wendy’s drinks. 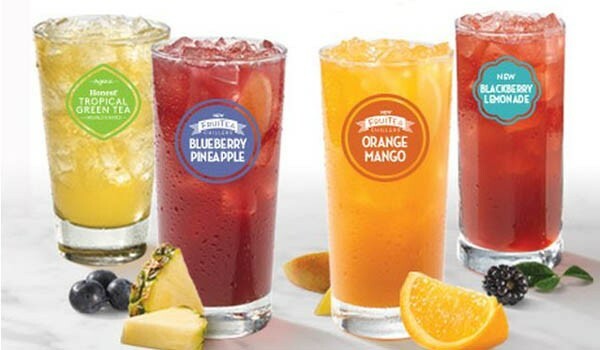 Wendy’s also has introduced their Fruitea Chillers, which come in two flavors: Orange Mango and Blueberry Pineapple. These drinks include fruit juice hand-shaken. The blueberry pineapple version includes a blueberry puree with pineapple juice while the orange mango includes orange juice with a mango puree. Finally, Wendy’s has also added a Blackberry Lemonade. This isn’t an iced tea, but does feature a blackberry puree with regular lemonade. 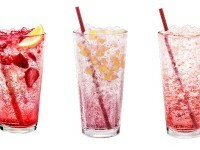 These drinks will be available all summer long and cost between $2-$3 depending on the size you want.